Visit our current auctions of hand-made cards here! 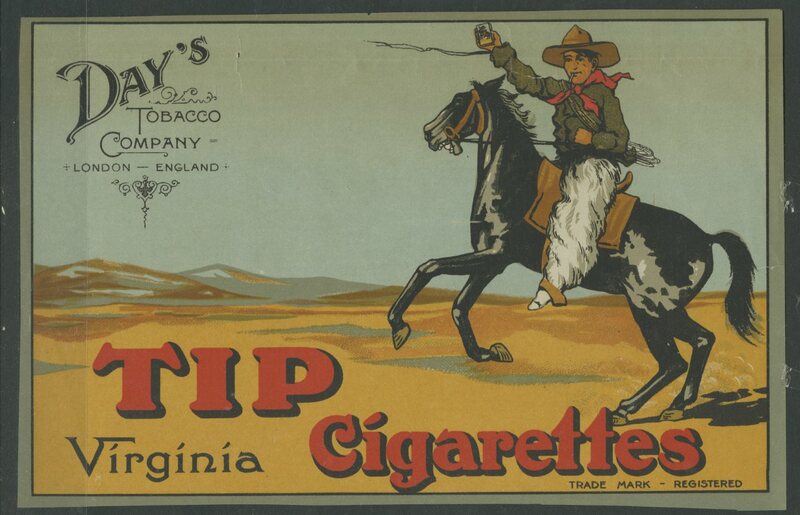 I couldn’t find information about London’s Day’s Tobacco Company, but I did like the advertising sheet shown below. In particular I like the logo, it has that great “hand drawn” feel to it. Its interesting that so many of the English companies used American Western themes.